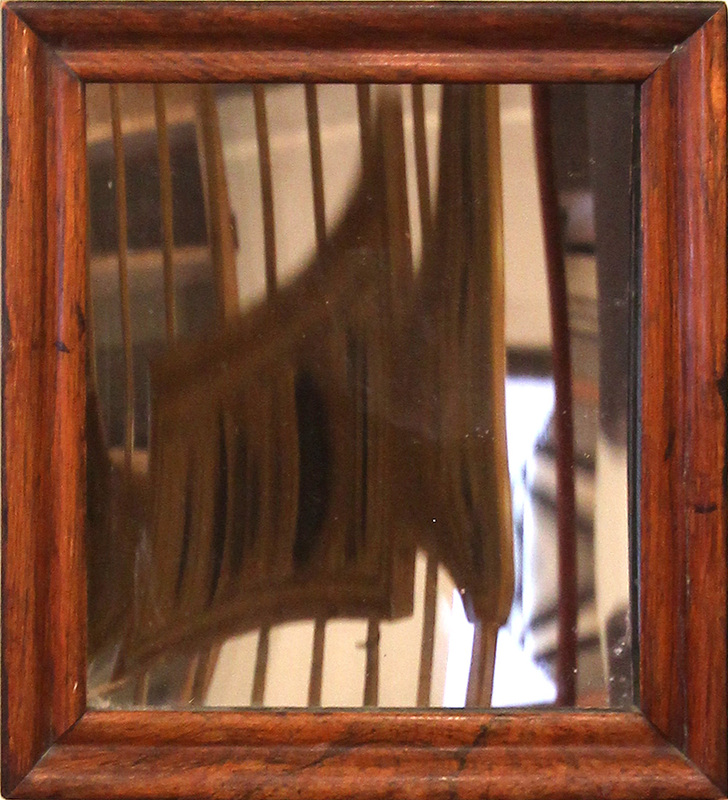 Wonderful concave mirror in original frame with handsome grain detail, black painted edge and fine patina, original back paper. The frame is constructed with the requisite curved rabbet. English, circa 1860.